Goals 2014: How Will You Inspire Change After International Women’s Day? Do you know that next Saturday, 8 March, is International Women’s Day (IWD)? 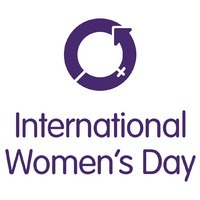 You can get a range of IWD information here and learn how this themed day has been influencing the lives of women and men since 1911. It’s amazing to think – at the time I write these words – that there are several hundred IWD events scheduled to take place in the UK. There are 1000s more in the United States, Canada, Australia and countries right round the world. These events will all be highlighting this year’s theme of Inspiring Change. Which of the events near you will you be following, or drawing to the attention of a woman you care about? Stay tuned. I’ll be blogging this week about ideas which you may want to consider when you work on your goals after IWD. Goals 2014: How Does Coffee Psychology Reflect Your Personality?